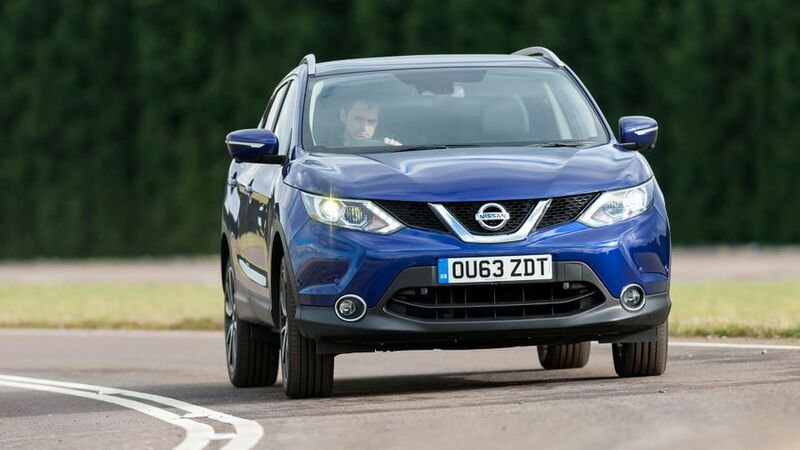 Read the Nissan Qashqai (2013 - ) car review by Auto Trader's motoring experts, covering price, specification, running costs, practicality, safety and how it drives. 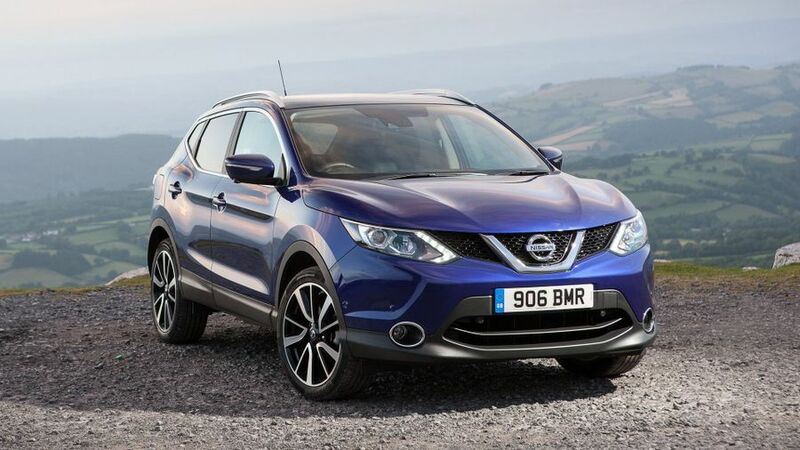 The Nissan Qashqai is a truly brilliant car, and for us, it’s the best of the small SUVs. No rival can offer such a stunning mix of style, quality, practicality, refinement, comfort, efficiency and affordability. The engine you want and all the kit you really need. Most SUVs, especially smaller ones, are about style above all else, and this is an area in which the Qashqai excels. The front end features crisp lines and bold details, the LED running lights and the deep, angular grille being the highlights. Things are just as fresh at the rear end, with swooping light clusters and muscular rear haunches. This is one very handsome car. Entry-level Visia cars miss out on alloy wheels, but they still look reasonably swish. If you thought the Qashqai looked swish on the outside, you’ll be just as impressed by the interior. All the materials have a plush, high-grade feel, particularly on the main touch-points, and the design is modern and attractive. Importantly, though, this hasn’t come at the expense of ergonomics. The various switches and buttons are logically placed and clearly marked, and the touch-screen infotainment system (standard on the top two trims) has sharp graphics and clear, logical menus. What’s more, the high driving position that SUV buyers love has plenty of adjustment, so life is very comfortable at the wheel. The limited rear visibility is the cockpit’s only real weak point. 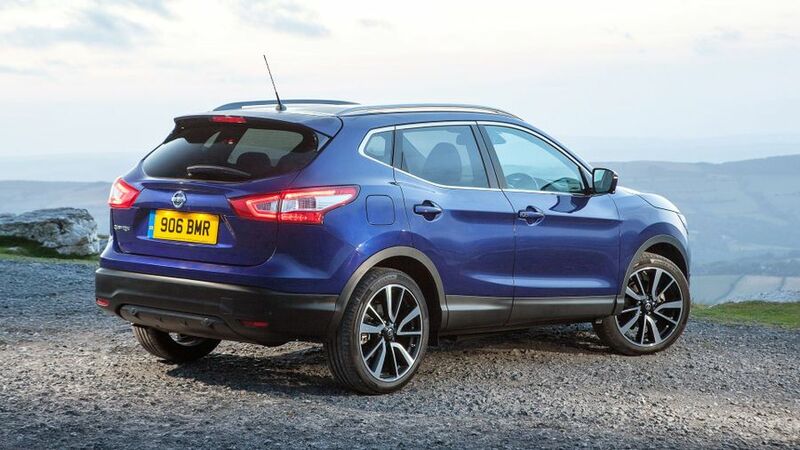 Even when compared with its best rivals, the Qashqai has no trouble on this score. The rear seats have plenty of headroom and legroom, making life very comfortable for four gangly adults, and five will cram in at a push. The 430-litre boot rivals those of the best cars in the class for capacity, and it also has some really clever features. We particularly like the two movable boards, which help give you a perfectly level load floor when the back seats are folded, and which can be slotted in vertically as well as horizontally, to stop small items sliding around. These boards are standard on all trims except entry-level Visia. 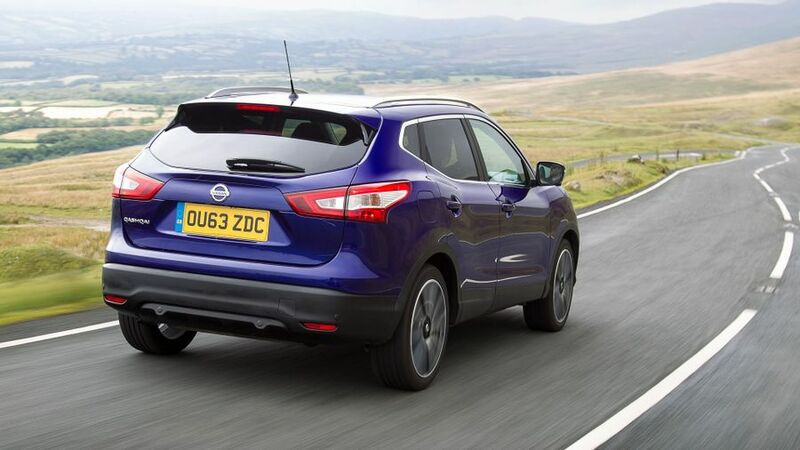 On the road, the Qashqai’s focus is very much on comfort, with good bump absorption at low speeds and fantastic smoothness and stability at moderate and high speeds. Despite the Qashqai’s civilised character, the handling is also impressively neat. The body stays impressively flat in corners so you don’t get thrown around in your seat, and the car always feels grippy, stable and predictable. You can change the weight of the steering by selecting one of two modes, too. The Sport mode has an artificially heavy feel, but in Normal mode, the weighting feels just right and gives crisp responses. The pick of the engines is the 108bhp 1.5-litre diesel. It delivers strong pull right throughout the rev range, making it effortlessly flexible in any given driving situation, and it actually feels a lot brisker than the relatively modest power output figure suggests. It’s just as impressive for refinement, staying smooth and quiet unless you’re really beastly to it. In fact, the 1.5 is so good, it renders the more expensive 1.6 diesel pretty much pointless; the bigger engine isn’t as refined and doesn’t feel much quicker despite its 128bhp. If you want four-wheel drive, however, you have no choice but to go for the larger option. Petrol buyers have two turbocharged engines to choose from, a 1.2 with 113bhp and a 1.6 with 161bhp. The 1.2 is impressively smooth and quiet, even when you work it hard, but that’s just as well because you’ll need to quite a lot of the time if you want to make decent progress. Its 140lb ft of torque is a little meagre for a car of this size, and the engine takes time to build revs, so you’ll often need a downshift to keep up with the ebb and flow of main-road traffic. The 1.6 feels pretty flat at the bottom of the rev range, too, which isn’t helped by rather lazy throttle responses, but push the needle past the mid-range, and the acceleration you feel becomes surprisingly strong. This gives the engine a rather schizophrenic, all-or-nothing nature which doesn’t really suit the Qashqai’s otherwise easy-going character. 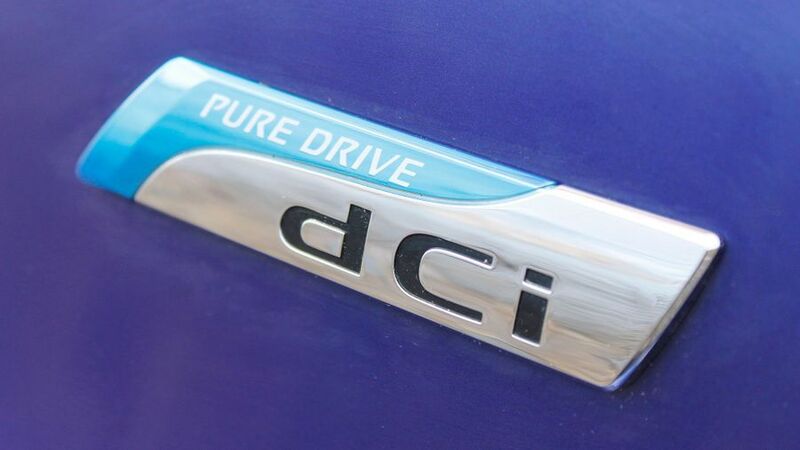 The other reason we like the 1.5-litre diesel engine so much is its sensational efficiency. The claimed average fuel consumption of 74.3mpg and CO2 emissions of 99g/km are really impressive for a car of this size and type, and will make for very affordable running costs for private buyers and company car drivers alike. The other engines can’t match this impressive performance, but they’re still pretty good compared with direct rivals. The 1.6 diesel returns 64.2mpg and 115g/km, while the 1.2 petrol delivers 50.4mpg and 129g/km. The 1.6 petrol is brings up the rear with figures of 47.1mpg and 138g/km. Purchase prices for the Qashqai aren’t particularly cheap, but they’re very competitive and offer you good value for money. Resale values aren’t bad for the class, either. Take a look at Warranty Direct’s Reliability Index, and you’ll find that Nissan sits comfortably in the top half of the manufacturer standings, while the Qashqai itself rates above average for mechanical dependability. That said, Nissan’s three-year/60,000-mile warranty is a little mean compared with what some rival manufacturers are offering. All Qashqai models come with six airbags and stability control as standard, while Acenta Premium models have a few more clever safety features and Tekna models have more still. 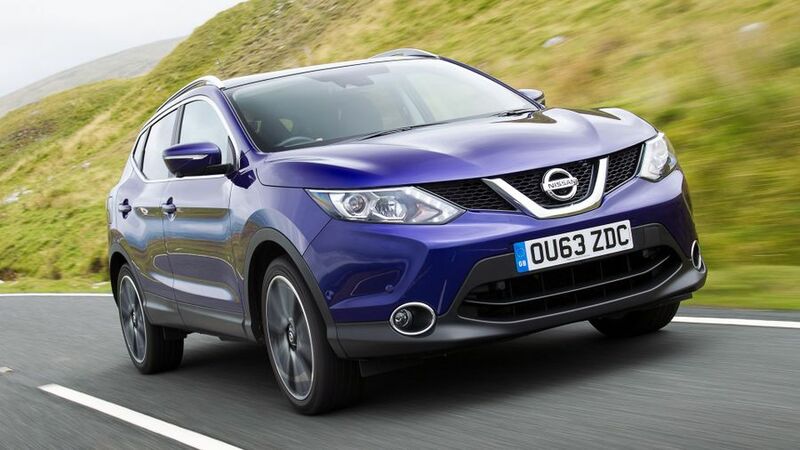 The Qashqai has also achieved the maximum five-star rating in Euro NCAP crash tests. The entry-level Visia version is well equipped, with remote locking, air-conditioning, Bluetooth and cruise control. We still reckon it’s worth paying the extra for Acenta trim, though, because it provides alloy wheels and the clever boot system, and adds climate control, a leather steering wheel and automatic lights and wipers besides. Acenta Premium adds the touch-screen infotainment system comprising sat-nav, a rear-view camera and a DAB radio, plus parking sensors, keyless start and a panoramic sunroof for even more luxury. The n-tec model has a similar amount of kit, but swaps the panoramic roof for a 360-degree camera, while n-tec+ trim gets both. If you want as much kit as the Qashqai has to offer, Tekna trim gives you luxuries like leather upholstery and heated front seats. Quite simply, because it’s the best car of its type. You simply can’t argue with this level of all-round ability, especially when it’s so affordable to buy and run.